What are the most popular credit cards for online payment? Malaysians are used to making payment online in recent years thanks to the AirAsia wave since 2001 and deal sites invasion since 2011, which you can refer to e-commerce history & milestones in Malaysia. It is quite close between credit card and Internet banking, depending on average order value of the online business. Internet banking might contribute the most number of orders but credit card might contribute the highest transaction value to your business. Maybank2u is undoubtedly the most preferred Internet banking method, followed by CIMB Clicks. But, how about credit card? Who are the leaders (by card issuer)? 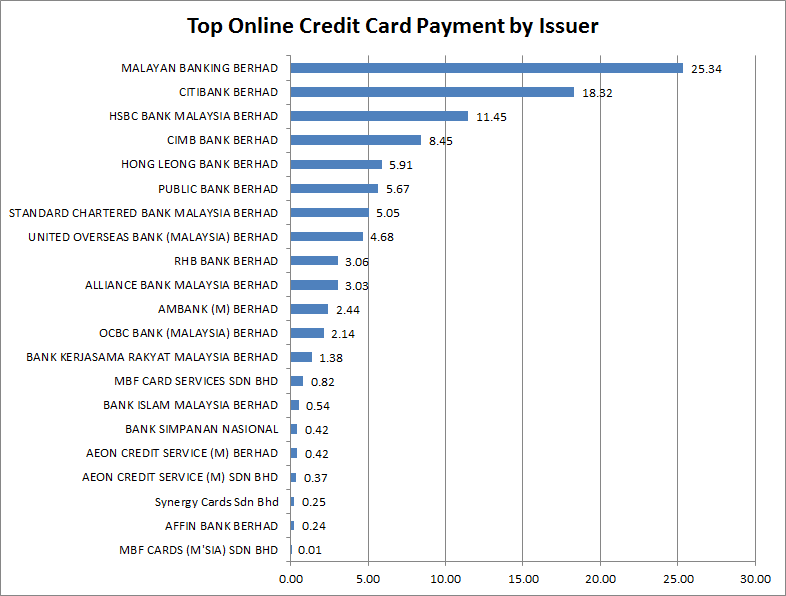 Before we start, you can refer to the list of credit card issuers by Bank Negara Malaysia, both banks and non-banks. It wouldn't be a stretch to assume that this reflects the current credit card customer base by issuer. Master vs Visa: Which is more popular in Malaysia? 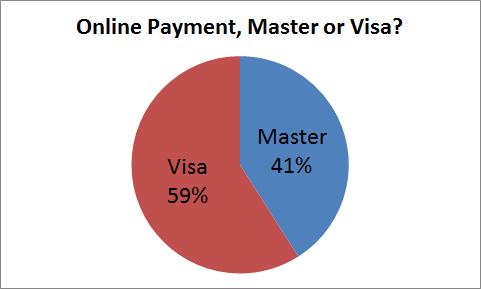 Based on the same sampling(*), more Malaysians are using Visa credit card (59%) to pay online compared to Master credit card (41%). What we have seen lately is that local banks are trying to increase their credit card customers spending by working on co-promotions with e-commerce operators, especially deal sites and Zalora. Is this kind of co-marketing campaign effective for both banks and e-commerce sites? Do share your thoughts in the comments area. 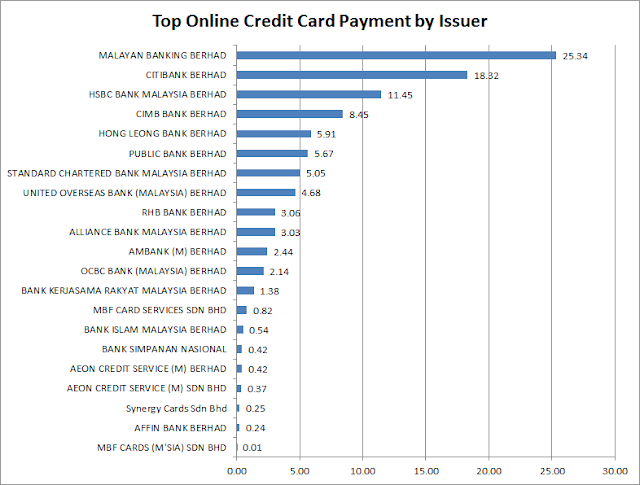 - Data collected in 2013 from online merchants operating and selling in Malaysia only. 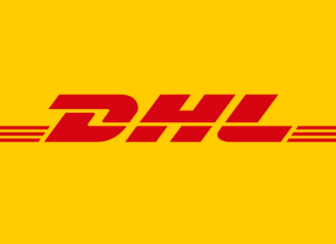 - Online merchants ranging from various categories from electronics, fashion & accessories, health & beauty etc. - Sampling size: 2,000+ orders contributing to RM400,000+ transaction value. ecInsider: What are the most popular credit cards for online payment?